Research has shown that regular acupuncture treatments increases the success of clinical pregnancy. * Acupuncture is a safe, effective form of treatment that uses fine needles on specific points on the body to increase blood flow, relax the nervous system, balance hormones, improve sperm parameters and reduce stress. To learn more about fertility acupuncture click here. For Fertility Massage FAQs please click here. Acupuncture sessions are recommended leading up to insemination to increase positive IUI and DI outcomes by stimulating ovulation and increasing blood flow to the uterus. It is also effective in reducing nausea and cramping post procedure. To learn more about treatment for male factor fertility click here. 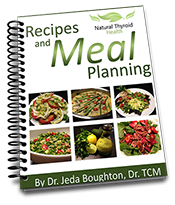 Herbs, supplements and nutritional plans are often prescribed to specifically enhance fertility by improving your overall wellbeing and lifestyle. Simple changes such as these can help you conceive naturally, and also prepare your body for your IVF cycle and a healthy pregnancy. 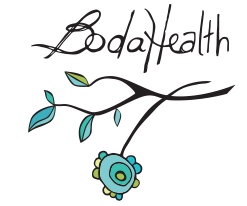 BodaHealth is a comprehensive complementary healthcare clinic with specialists in women’s health and reproductive medicine. Our nurturing environment and knowledgeable practitioners provide you with quality care, guidance and support on your fertility journey. The practitioners at BodaHealth have extensive training in the areas of reproductive health (male and female), gynecology and obstetrics. Our Doctors of Traditional Chinese Medicine are Fellows of the American Board of Reproductive Medicine** (FABORM) and possess the qualifications and experience to provide the support you need on your path to conception. At BodaHealth we provide personalized care for each individual and couple. We work with you to develop a treatment plan for preconception, conception, pregnancy and postpartum care. Your treatment plan is customized and modified at each stage of your journey. Once you are pregnant, acupuncture and massage therapy offer drug-free relief from complications associated with pregnancy including nausea, vomiting, edema and the prevention of miscarriage. What sets us apart? We help to demystify the medical process, we integrate our services with fertility clinics and other complementary professional healthcare services, and we instill direction and calm in the fertility journey. Our caring staff and team of practitioners collaborates with you every step of the way.